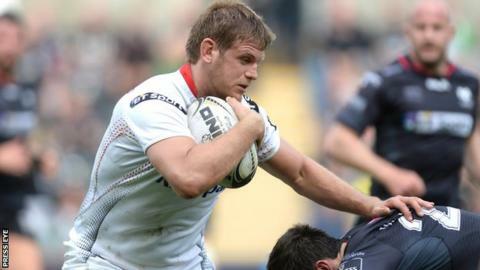 Former Ireland and Ulster flanker Chris Henry will take over as head coach of Malone rugby club for next season. The 34-year-old will succeed Paddy Armstrong who is stepping down at the end of the All-Ireland League season. Henry announced his retirement in November after playing 184 times for Ulster and winning 24 Ireland caps. Malone are fourth in Division 1B of the league and the Belfast club remain in contention for promotion with just three games remaining. "I am delighted to be involved with such an ambitious club next season and really excited to be working with a talented group of young players," said Henry, who began playing mini rugby as a five-year-old at Gibson Park. "I am also looking forward to working with assistant coach Josh Pentland who has done a great job at Malone over the last number of seasons. "Now my own playing days are over, this gives me a fantastic opportunity to throw myself into coaching and stay involved in the game that I love." Armstrong, who steered Malone to the Division 2A title in 2018 and helped his side to a strong showing in Division 1B this campaign, informed the club recently that he would be stepping down at the end of the season.